Reform the trigger ballot system, introduce open selections or stick with what we’ve got? That’s the biggest question of the week for members of Labour’s conference arrangements committee (CAC), meeting today, and national executive committee (NEC), meeting tomorrow. 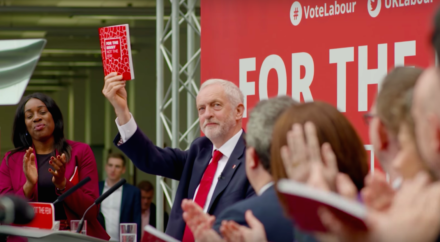 Steve Hudson, Momentum activist and Labour International member, writes for LabourList today about the hurdles open selection will have to overcome this week in order to get passed at conference. As he explains, Unite, the Fire Brigades Union and Momentum have now all backed this version of the MP selection reform – but the CAC must allocate the debate enough time to allow for a proper debate amongst delegates, and Hudson argues the NEC should recommend the reform to conference. Open selection means those wishing to stand for a seat – including sitting MPs – would go through a full selection process every time. But some supporters of the rule change are worried that the ruling body will opt for an unhappy compromise (as we know it is wont to do) and instead push for a softer trigger ballot system, such as the ‘66’ model that would see candidates required to gain the support of 66% of trade union and socialist society branches rather than a simple majority. New research and analysis undertaken by Momentum and revealed today shows that delegates going to this year’s Labour conference are overwhelmingly in favour of their democratisation proposals. After contacting 450 CLPs, the Corbynite group knows that 72% of the 1,198 delegates polled were supportive of open selection, NEC reform and leadership contest changes. As to be expected, it would seem the conference floor has made up its mind – the power now lies primarily with executive bodies. The other important conference issue is, of course, Brexit – and the million-headed ‘people’s vote’ campaign received another boost this weekend when London mayor Sadiq Khan became its latest high-profile supporter. This is unlikely to have pleased the leadership, who maintain that being ‘open’ to the idea without promising it is wise. Certain members, including the CAC’s Seema Chandwani, also weren’t happy on Friday when Khan announced his reaffirmation as Labour’s mayoral candidate before all decisive CLP meetings had concluded. And in our final piece of internal Labour news, Welsh Labour has scrapped its electoral college and adopted one-member-one-vote for leadership contests – bringing it in line with UK Labour’s system. The change delighted Welsh Assembly Member Mike Hedges, who has written for LabourList to celebrate OMOV and explain why frontrunner Mark Drakeford should now be elected.